Kimberly Sirois stands in front of her home at 16 Mercer Road, where she discovered the body of slain Somerset County Sheriff's Deputy Cpl. Eugene Cole in her yard around 7:15 a.m. on April 25. NORRIDGEWOCK, Maine — The woman who found the body of slain Somerset County Sheriff’s Deputy Cpl. Eugene Cole in her yard early Wednesday morning said she practically raised the man accused of killing him. Kimberley Sirois, an ed tech at Mill Stream Elementary School, said she discovered Cole’s body lying in the side yard near her driveway around 7:15 a.m. — about 5 hours after police say the officer was shot and killed in the line of duty. Maine Department of Public Safety spokesman Stephen McCausland confirmed Cole’s body was found at her address. Sirois doesn’t know the details of the alleged crime or how Cole ended up in the yard of the house where his suspected killer, John D. Williams, once lived. “How do you be that woman that found him in your yard and know that someone you thought of as your own son — and know that he did that? How do you do that?” she said, sitting in her dining room with tears in her eyes. On Wednesday morning, prompted by the sound of a helicopter overhead, Sirois walked out onto her lawn and spotted the deputy’s body, she said. He almost looked asleep, she said. “I walked up to him and said, ‘Officer, are you OK?’” she said. Then she started screaming and waved her arms to summon a group of police officers that were standing across the street near the town fire station. It wasn’t until later that morning when police interviewed her that she learned Williams, who had lived with her throughout his high school years and as recently as last fall and whom she thought of like a son, was the suspect in Cole’s killing and the subject of a nationwide manhunt. On the table in front of her Thursday afternoon were framed pictures of her large family, including many photos of a younger Williams — years before she said he started using hard drugs, collecting guns and pulling away from her family. 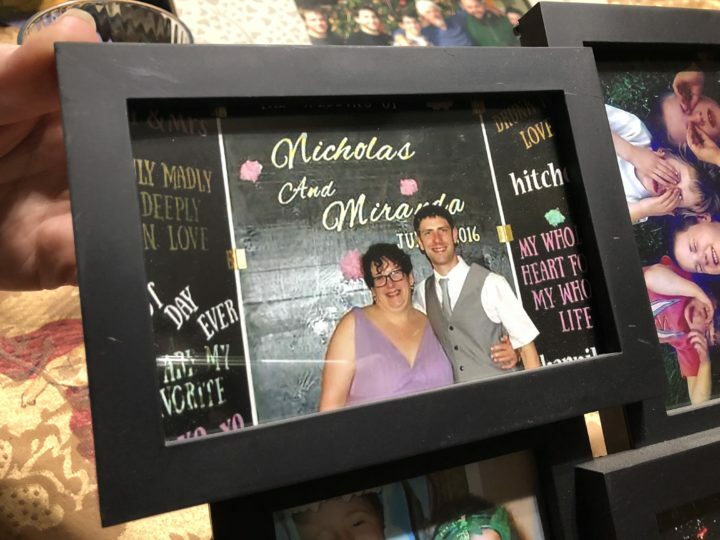 A framed photo of Kimberly Sirois and John D. Williams at a family wedding on June 4, 2016. Williams entered Sirois’ life in September 2002 after a fallout with his parents, she said. As a freshman in high school, he made friends with her two oldest boys, and after spending an increasing amount of time at their house, moved in with the family, she said. Sharing a room with her son, Williams stayed there until he graduated, she said. He was one of several kids to whom the 54-year-old woman opened her home over the years. But few stayed as long as Williams. In high school, Williams was a funny, outdoorsy kid who did well in school and never got into more trouble than the average teenager, she said. If he did drugs back then, it was only the occasional smoking of weed, she said. After graduating from Skowhegan Area High School, he moved to Bangor to become a welder, and then spent at least five years building canoes for Old Town Canoe, she said. He kept in regular contact with her family. But about two years ago, he started having problems at work, missing days and getting suspended, Sirois said. When he was let go from Old Town Canoe last summer, he moved back in with Sirois. His face had changed, marked and gaunt from what Sirois learned was heavy heroin use. His personality changed, too. Last Thanksgiving, “he was upstairs in his room and didn’t come down — even though there was a place at the table,” she said. 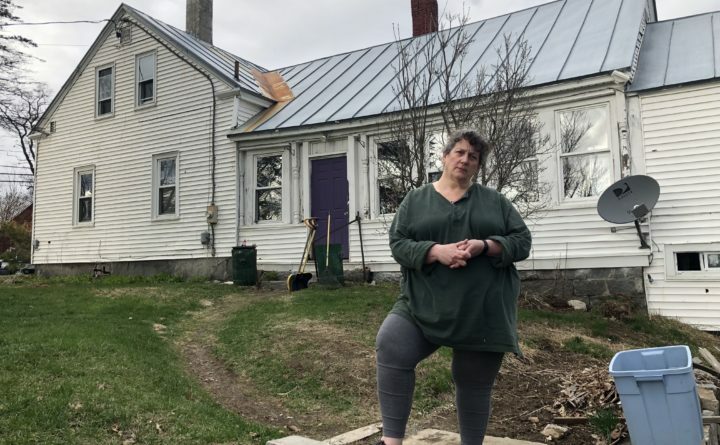 In January, at her oldest son’s insistence, Sirois kicked Williams out of her house after she learned he was doing drugs in the upstairs bedroom and allowing his girlfriend, Kristina Pomerleau, to stay overnight, she said. He moved to a new place in Madison. She didn’t see him again until earlier this month, when he showed up at her door with his girlfriend and their dog to “explain the situation in Massachusetts” — that he had been arrested on Interstate 495 in Haverhill after police found his car in a ditch by the side of the road. Among other offenses, he was charged with illegally possessing a gun, ammunition and “a large capacity feeding device,” according to police. Williams’ “fascination” with weapons was as much a surprise to Sirois as his slip into drug use, she said. An outdoorsy kid from Maine, Williams had owned a gun for most of his adulthood, but had started buying more in recent years, she said. The morning Sirois found Cole’s body, detectives searched her home and car and told her they found body armor and a rifle in her Nissan Xterra, which was parked in her driveway, Sirois said. In the two days since — as she has grappled with the horror of finding the body, grieving for the Cole family and reckoning with Williams’ alleged crime — she has wondered if there were ways in recent months that she could have helped him. “But at that point, he was already lost,” she said. Correction: An earlier version of this article misspelled Kimerberley Sirois’ name.